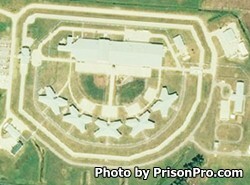 Southeast Correctional Center is located in Charleston Missouri. It is a mixed custody facility that houses minimum, medium and maximum security inmates. The current capacity of this prison is 1,656 adult males. Selected inmates may work jobs within the prison, including in janitorial maintenance, laundry, and food preparation. Eligible offenders at this facility may participate in quarterly food visits that allow you to bring takeout or a home cooked meal to visitation, contact the inmate or the facility for more details. An outside visitation area is also available during the summer months. You must have an approved visiting application on file for the inmate you wish to visit prior to attending a visitation session. Visits are on Fridays, Saturdays, and Sundays from 9:30am-1:30pm and 2:30pm-6:30pm. You must arrive at least one hour prior to the end of the visiting session or you will not be processed into visitation.